A red light for low-wage workers in St. Louis. On Aug. 28, St. Louis may become the first city in the United States to see its minimum wage fall, from $10 an hour to $7.70 an hour, as the Missouri statehouse enables a pay cut for some 35,000 workers. 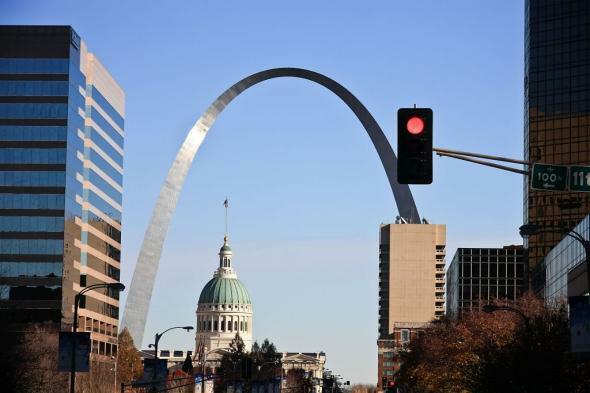 That’s the date when a new state pre-emption law, drafted specifically to target St. Louis, is scheduled to take effect. The Missouri measure will override the city’s own minimum wage increase, which was implemented in May after a two-year court battle, and end a three-month period during which fast food, retail, and other workers in the city were required to be paid hundreds of dollars in additional income. St. Louis is a unique case. Shortly after the city passed its minimum wage law in 2015, the Legislature passed—over the veto of then-Gov. Jay Nixon, a Democrat—a pre-emption law to abolish all municipal wage laws not in effect on Aug. 28, 2015, the exact day the city passed the ordinance. * But it was immediately enjoined in a lawsuit filed by local business interests that went all the way to the state Supreme Court. In May, that body decided St. Louis did have the authority to enact a wage law. So the Missouri Legislature went back and drafted a more specific law that would squash the local ordinance. The idea was to fast-track it in March, before the local wage hike took effect. Thanks to the quirky practices of Jefferson City, though, Democratic state senators managed to stall the measure, forcing Republicans to use a procedural measure to jam the bill through in the waning hours of the session last week. A template for St. Louis progressives going forward? Deep-red Arizona, where Gov. Doug Ducey, a Republican, threatened in January of 2016 to withhold funding from cities like Tempe, Tucson, Flagstaff, and Phoenix that had considered or passed various types of worker protections. In November, Arizona voters—while voting for a Republican senator and for Donald Trump—opted to enact a statewide minimum wage increase at the ballot, tying Ducey’s hands. Now that’s a uniform regulatory environment. *Correction, July 9, 2017: This post originally misspelled Jay Nixon’s last name.